If you live in Canada then the Canadian Tire App offers a lot of flexibility for purchasing camping equipment on a budget. Not only are you able to browse through all available catalogues, but you are also able to create a shopping list, or wish list if you will. The best part of this App is the fact that it will notify you when one of your shopping list items goes on sale. I currently have 91 items added to my shopping list. One might say that is a tad bit excessive, but I know that when an item goes on sale at Canadian Tire it is usually a good sale! This App saves me from looking through flyers, browsing online or visiting a store to see what’s on sale. Now, not all of my 91 items in my shopping list are camping related. 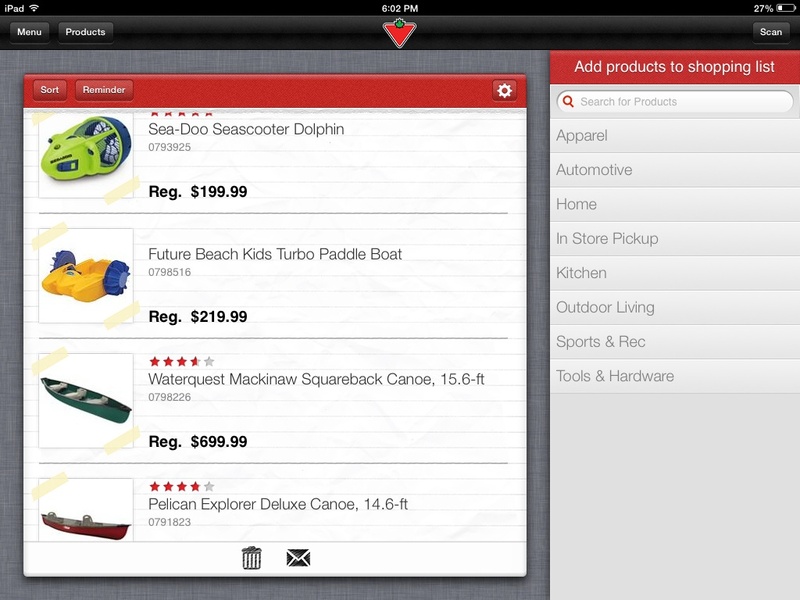 Fortunately, the Canadian Tire Mobile App lets you divide your shopping lists into categories. You could have a home, car and camping list if you so desired. 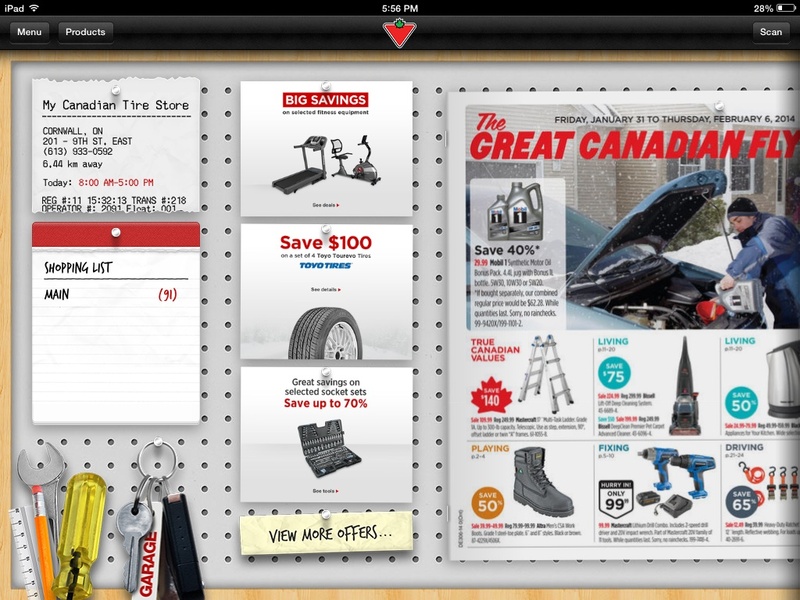 The Canadian Tire App saves me a lot of time, energy and money. It enables me to pick up my favourite camping gear at a fraction of the price. I hope it helps you out as well! This entry was posted in Camping Tips & Tricks and tagged Budget, Camping Equipment, Canadian Tire, Canadian Tire App, Frugal, Money, Ontario, Purchase, Shopping List, Travel. Bookmark the permalink. ← Camping On A Budget! It is possible!